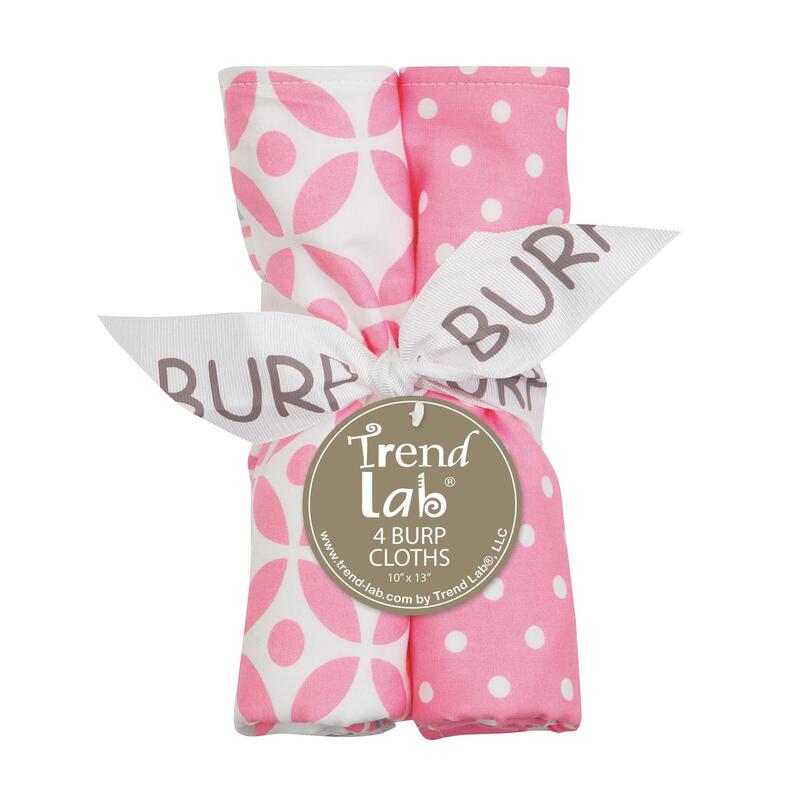 Keep messes to a minimum with this stylish Lily 4 Pack Burp Cloth Set by Trend Lab. Set features four burp cloths each with fun, modern prints on the front and soft terry on the back. Burp cloth patterns include: one with a poppy pink and white cirular lattuce print; one variegated stripe print in poppy pink, shades of opal gray and white; one with an opal gray and white geometric circle print; and one with a poppy pink and white dot print. Each burp cloth measures 13 in x 10 in. Coordinates with the Lily collection by Trend Lab.